For the first time in eight years, Greece is now free to borrow money on the financial markets, the BBC reported on Monday. The European Stability Mechanism (ESM) provided the country with $70.8 billion over the three years. The ESM is a fund set up by the countries that use the euro currency to deal with a financial crisis. Together with assistance from the International Monetary Fund, the loans given to Greece since 2010 amounted to more than 260 billion euros -- the biggest bailout in global financial history, the BBC said. The Greek economy has grew slowly and is still 25 per cent smaller than when the crisis began. The ESM had made available another $27 billion to Greece, but said the country had not needed to call on it. 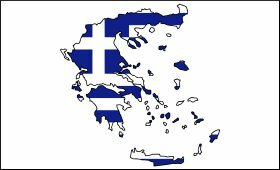 However, Greece's freedom to manage its own economic affairs will be tempered by enhanced surveillance from the European Union's executive, the European Commission. This is designed to ensure Athens does not backtrack on reforms agreed with its lenders. Eventually, the bailout loans will have to be repaid, the BBC report said. Professor Kevin Featherstone, director of the Hellenic Observatory at the London School of Economics, told the BBC that Greece had helped to safeguard the future of the eurozone by agreeing to the terms of the bailout programme. "By enduring this period of austerity we have avoided a Grexit (Greek exit from the European Union). "It's certainly the case that the third bailout of 2015 imposed terms which were very, very demanding and very painful indeed.